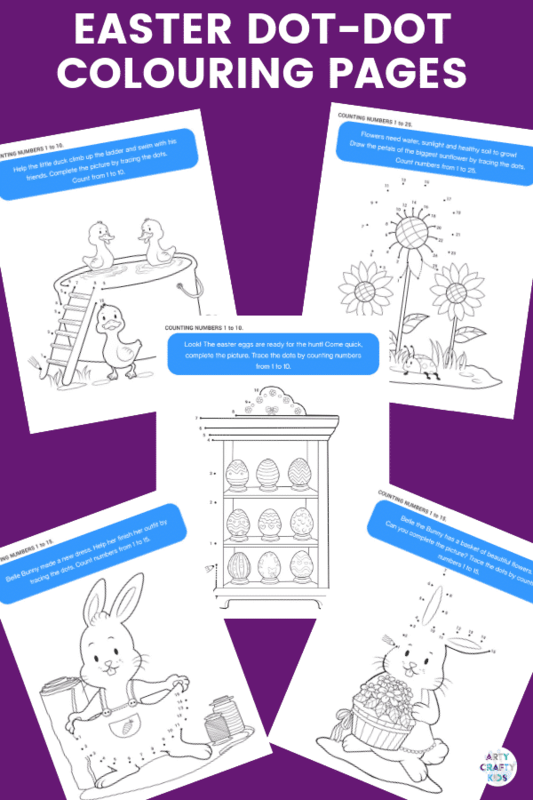 Easter is just weeks away and today I have the pleasure of presenting a brand new Easter Colouring and Activity Book to download and print for your Arty Crafty Kids. 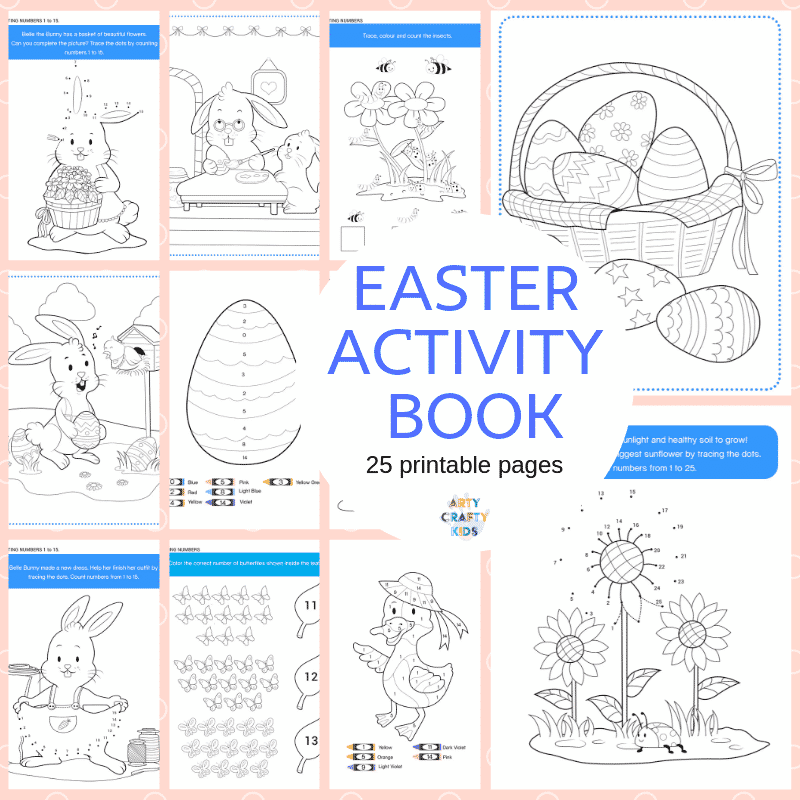 This 25 page NO-PREP Easter Activity Booklet will have your Arty Crafty Kids colouring, counting and practising their tracing skills. 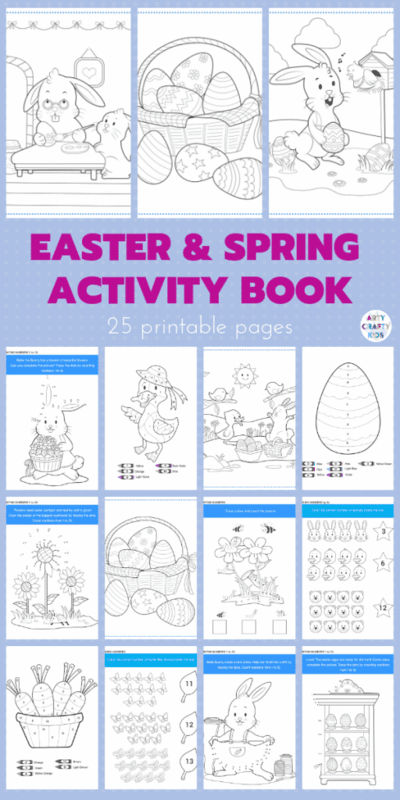 Join the Arty Crafty Kids Members Area to access the 25 page Easter Colouring and Activity Book. 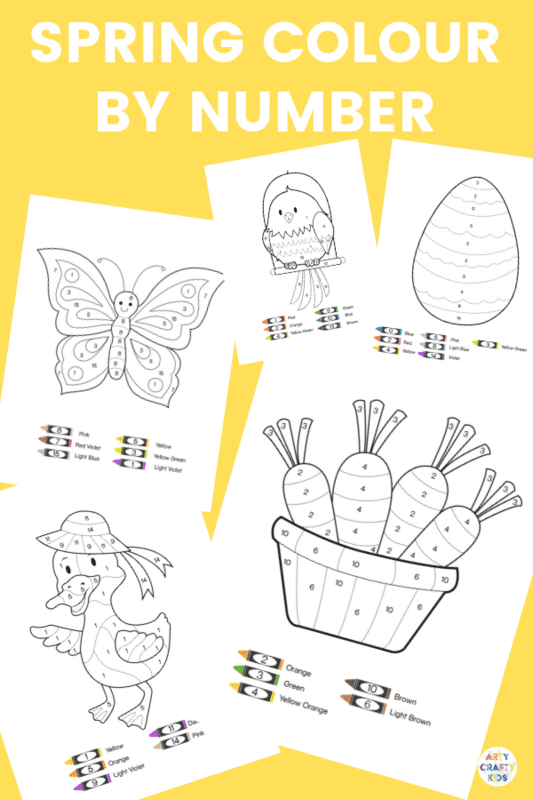 Jam-packed with colouring pages for your Arty Crafty Kids to enjoy this Easter, let’s take a closer look at what’s inside! 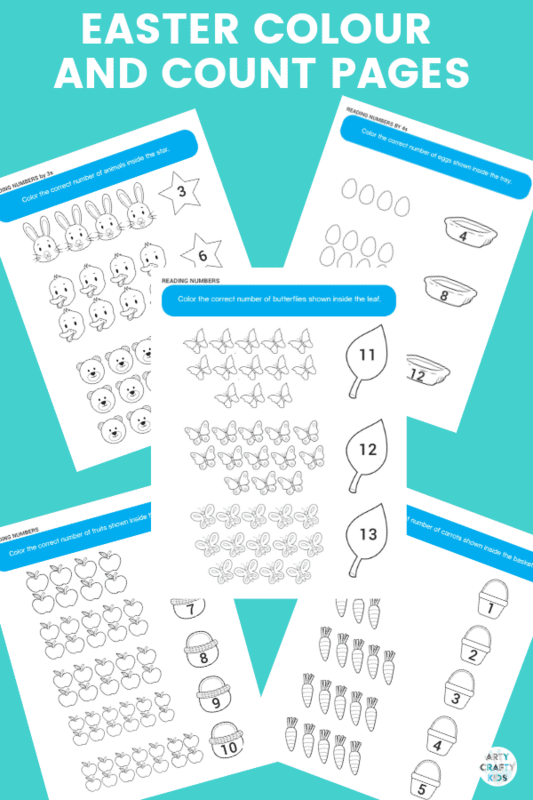 These adorable Easter themed dot-to-dot colouring pages start with numbers 1 to 10 and progress up to 25. 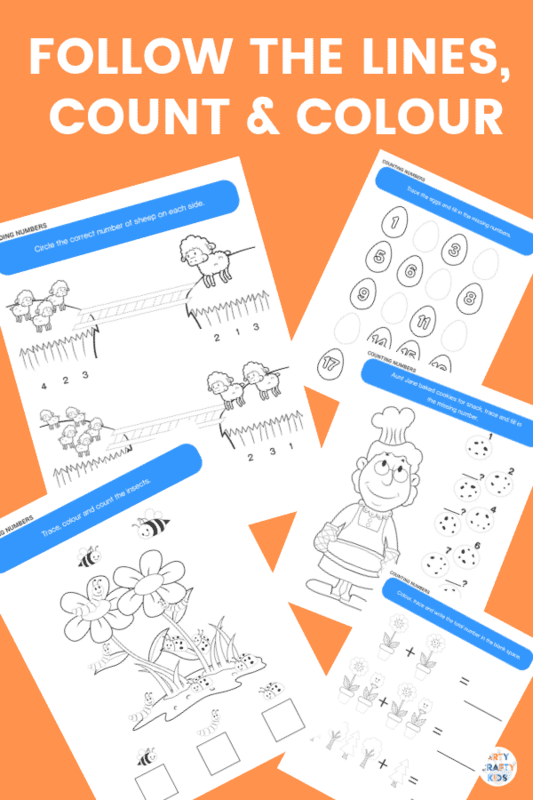 Connect the dot printables are great for enabling young children to practice their number skills and once complete, they can fill their creations with colour! Our count and colour printables are designed to enhance the connection between the written number and quantity. Children will need read the numbers and colour in the correct number of items. Colour by number – Colouring with benefits! Children are not only reading the numbers, they’re learning colour sight words too! 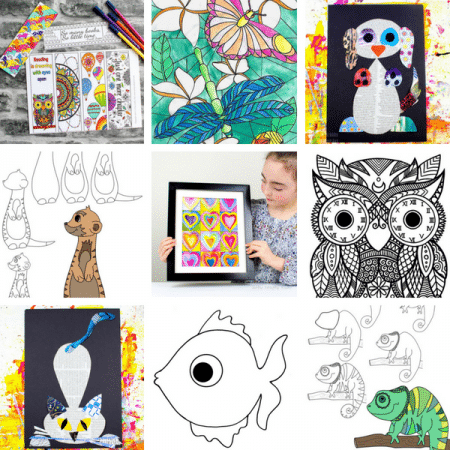 Follow the Lines, Count and Colour – these pages have it all! 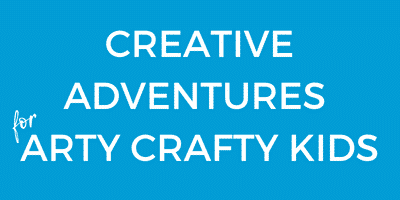 Arty Crafty Kids are given a fine motor work out with the follow the line elements to complete the pictures. They’re then asked to count, fill in the missing numbers and try some simple addition. To use again and again, try laminating these pages to keep the fun going! 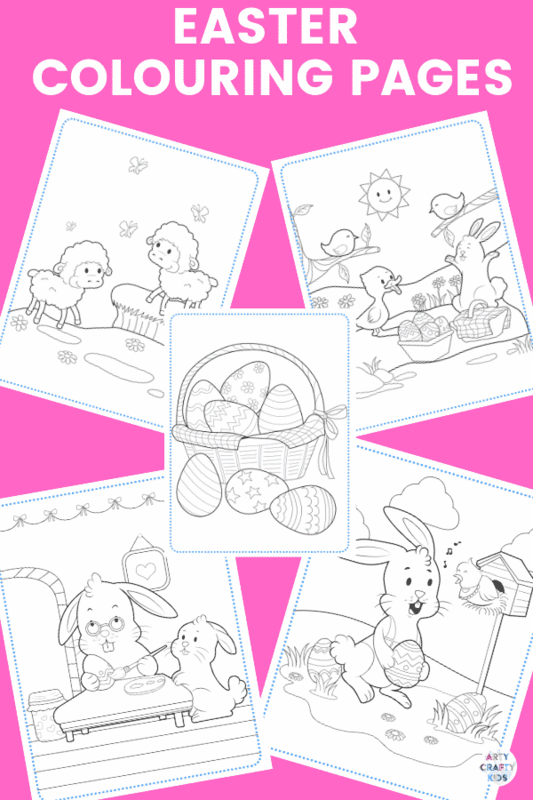 And to complete our a fun-filled Easter Colouring and Activity Book, we have some super cute colouring pages! If you’re going away this Easter; print, hole punch and connect these pages together with ribbon to have a boredom buster at your fingertips!